Last year, nearly 500 homes participated in the annual garage sale. To register, visit www.FishHawkConnect.com or pay in person at the Osprey Club. Spring is in the air and FishHawk Ranch residents have two events to look forward to as a way ring in the season. Starting with the FishHawk Ranch Farmers Market, now entering its second year, residents can sample fresh produce, seasonal fresh seafood, honey, pickles, cheese, nuts, homemade jams, jellies and salsa in addition to merchandise such as peace T-shirts and other designs, body soaps, soy candles, tropical plants, dog grooming products and more. The FishHawk Ranch Farmers Market is held the first Sunday of every month from 9 a.m.-2 p.m.
For more information, Newland Communities has a Facebook page. Information is posted about upcoming events on there. You can find it at www.facebook.com/pages/FishHawk-Ranch-by-Newland-Communities. “The biggest draw is the fresh produce,” Carle said. 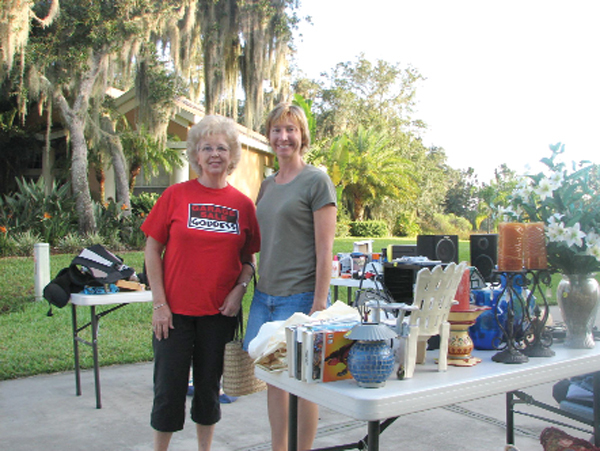 The second event residents have to look forward to is the semi-annual FishHawk Ranch HOA Garage Sale, which will be held this year on Saturday, April 9. This event encourages residents to do some spring cleaning. The cost to register for the garage sale is $5 per driveway. To register, residents can do so in-person at the Osprey Club (cash or check only), or by credit card via PayPal on www.FishHawkConnect.com. Although there is no late fee, the last day to register is Friday, April 8 at 5 p.m. at the Osprey Club, located at 5721 Osprey Ridge Dr. in Lithia. For more information or to register for the garage sale, please visit www.FishHawkConnect.com.